For centuries the Alps have seen the march of armies, the flow of pilgrims and Crusaders, the feats of mountaineers and the dreams of engineers-and some 14 million people live among their peaks today. In The Alps, Stephen O'Shea takes readers up and down these majestic mountains, journeying through their 500-mile arc across France, Italy, Switzerland, Liechtenstein, Germany, Austria, and Slovenia. Along the way, he explores the reality behind Hannibal and his elephants' famous crossing in 218 BCE; he reveals how the Alps have profoundly influenced culture from Frankenstein to Heidi to The Sound of Music; and he visits the spot where Arthur Conan Doyle staged Sherlock Holmes's death scene, the bloody site of the Italians' retreat in World War I, and Hitler's notorious vacation house, the Eagle's Nest. 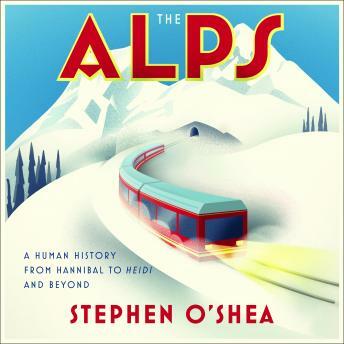 Throughout, O'Shea records his adventures with the watch makers, salt miners, cable-car operators, and yodelers who define the Alps today.